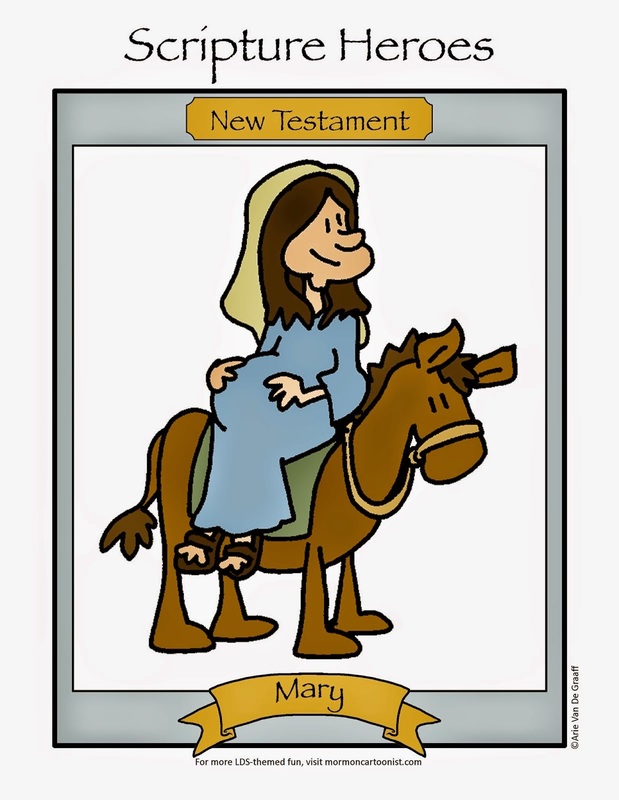 When I read the scriptures (especially the Book of Mormon), I try to imagine the scripture characters back stories. For example, isn't it interesting that Mosiah's people clamored for him to appoint his son, Aaron, king; and yet, Aaron deferred to his brother, Ammon, later while on their mission to the Lamanites? Might Aaron be another Sam or Hyrum Smith: a stalwart older brother who deferred to his righteous younger brother? Which brings us to this week's gag. 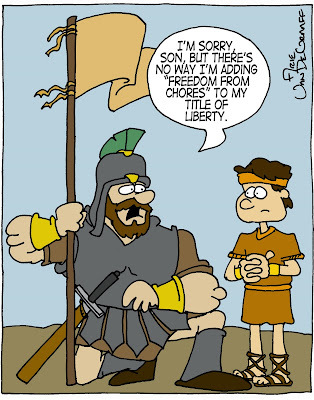 I have no problem imagining that Moronihah was a lazy kid who wanted to get out of cleaning his room. After all, as a chief captain he was somewhat a bumbler. I mean, I can understand letting the Lamanites take Zarahemla once, but twice? Mowing my lawn, I want grass that stops growing once it gets to be 2 inches. Buying Gas, I want a car that runs on water. cooking food: I want a replicator like in Star Trek, just tell it what I want and there it is. The funny thing is that whenever I draw a Arnold Friberg type strong guy, my sense of restraint always keeps me from making the guy quite as disproportionate as Friberg would draw him. Sure I drew some big forearms, but they're nothing like Friberg's. And I'm not sure what to make of that. Also he lost half of the cities in the land then just gave up. funny comic! I'm glad I found this blog and so happy to hear you are still drawing. We occasionally see one of your cartoons in the magazines and get all excited cause we know someone 'famous'. Hope all is well with you and your family. (This is Sister Groberg, BTW, not some weird stalker). Welcome, Jennie, I'm glad you found the blog, too. it's so sweet to have a book of mormon.